Home › News & Articles › News › Vredeveld-Leemhuis (Coevorden, NL) celebrates comeback with 1st-3rd Gennep 10,536 p.
Vredeveld-Leemhuis (Coevorden, NL) celebrates comeback with 1st-3rd Gennep 10,536 p.
As if they had never done anything else: Harm Vredeveld and Robert Leemhuis claim victory at the very beginning of the young birds' season. This shows that their fresh start from a new location was an instant success. They claim a 1st and 3rd of 10,536 birds, with 10 pigeons finishing in the top 50. You could not tell from the results but their fresh start did not begin very well. "Gennep was a very unsettling race", Robert explains. "There was quite a lot of time in between the different arrivals, and we heard from other fanciers that big losses were likely. We were rather fortunate with 83 of our 91 pigeons returning home." That does not mean the team of Vredeveld-Leemhuis did not have their share of bad luck: "Many of our birds were attacked by a pird of prey, and a while later our young birds got sick. Things have been going a lot better for the past 10 weeks, and Robert had invested a lot of time in training and making them used to basketing - this takes away a lot of stress. This might explain why Gennep went fairly well for us." Winner of 1st Gennep 10,536 p.
A change in location does not mean a change in breeding strategies for Vredeveld-Leemhuis; they still focus solely on top quality bloodlines. You can tell from the most successful racing birds in Gennep. The winner of this race was NL18-4716663, bred from super class hen Proxima Blue, winner of a 1st NPO Quievrain 7,722 p. and a 19th NPO Niergnies 5,778 p. This hen is closely related to Heremans, and was raced by B. Hoekstra. She was paired to a son of none other than De Zoon of Albert Derwa, 1st Int. Europa Cup Pigeon and Olympiad Pigeon. Click here for the pedigree of the 1st Gennep 10,563 p.
The third prize in Gennep was won by NL18-5188227. Two of his brothers have won a 40th and 41st prize, and this makes the NL10-1100811 Zoon Lucky Boy x NL15-1222607 Dochter Bulck pairing the most successful combination in the opening weekend of the young birds' competition in Province 10. Sire: De 811, from the renowned Lucky Boy, a great racing bird and now a stock breeder from the Love Pair Boy x Queen. 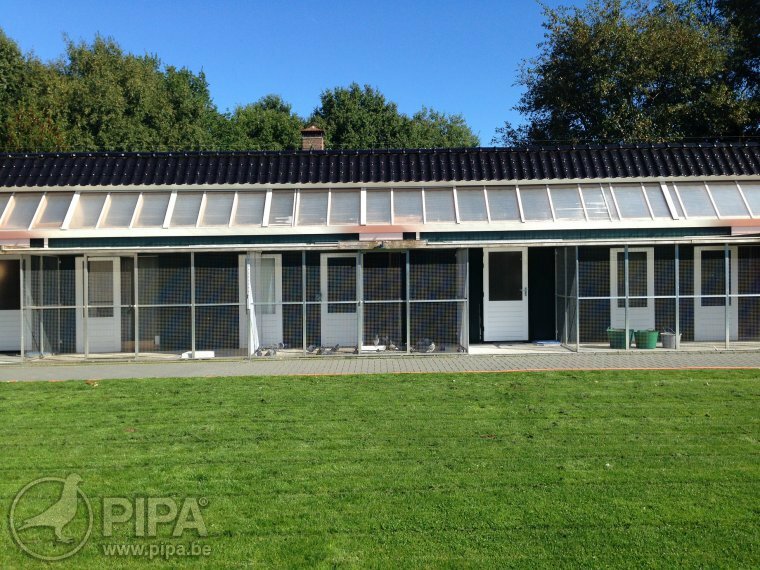 The dam of the 811 is Zeeuws Juffertje (Leideman), the dam of highly successful racing bird and top breeder X-Factor. Dam: The 607, a daughter of the new top breeder Bulck. Harm obtained her from fellow fancier Dirk Van Den Bulck, from the renowned pair Broer Goede Rode x Golden Leo 40000. Bulck developed into a world class breeder in Coevorden, breeding generations of first prize winners in major races. Click here for the pedigree of the 3rd Gennep 10,536 p.
Robert's personal favourite, the NL4716661, finished in the top 10, as first nominated. 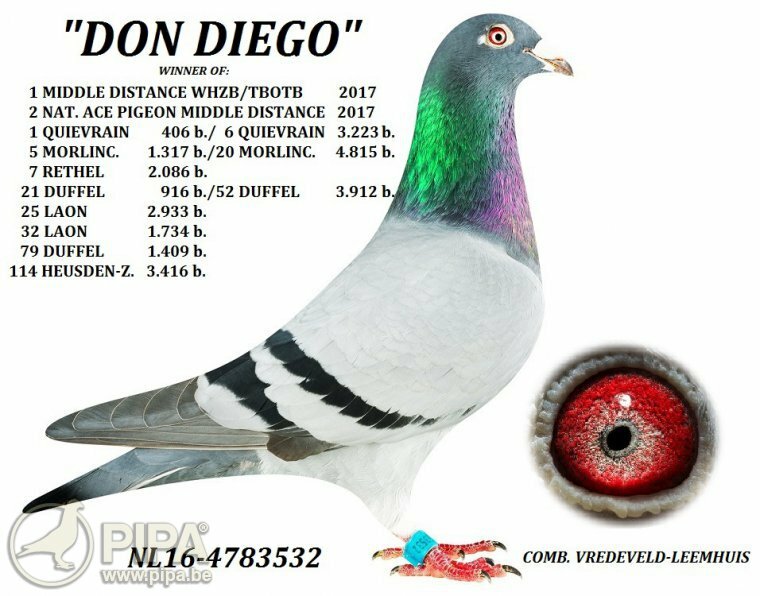 He claims a 42nd Gennep of 10,536 p. The sire of this pigeon is Don Diego, obtained from pigeon fancier Mooiweer from Emmen, and winner of the title of 1st Nat. Ace Pigeon middle distance WHZB/TBOTB in 2017. 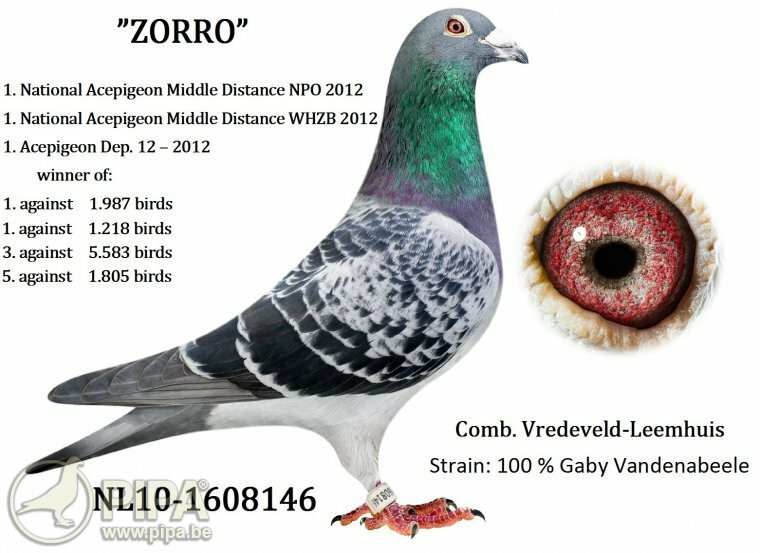 Harm and Robert agree: "This pigeon has what it takes to become a new stock breeder, along with Zorro. 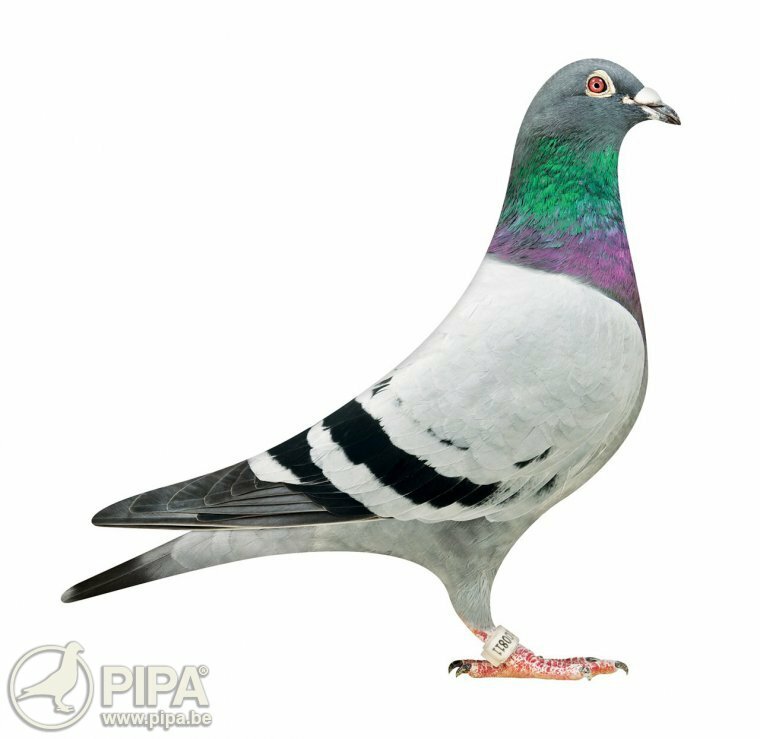 These are two very strong pigeons with great appeal and an excellent palmares. We are convinced that their respective descendants will have plenty of potential." In 2018 Don Diego was paired to a granddaughter of that same Lucky Boy, again mixed in with some Van Den Bulck bloodlines. 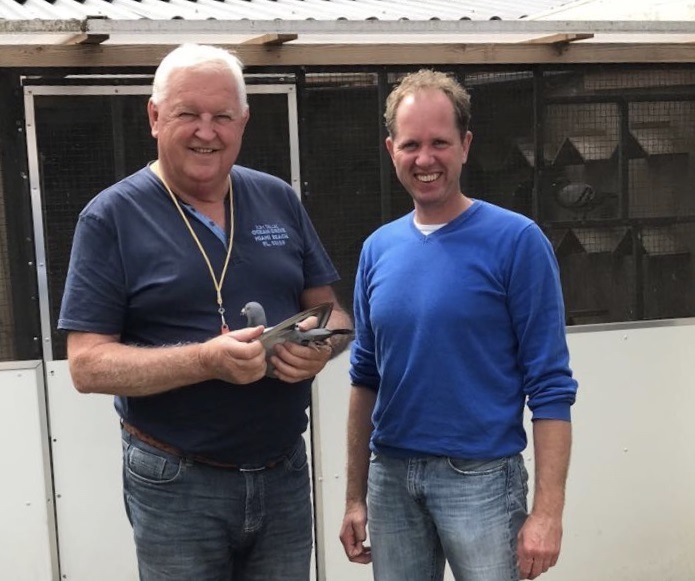 Click here for the pedigree of the 42nd Gennep 10,536 p.
They have their first win of the season, and Robert and Harm are eager to see what their talented young birds are capable of this season. Their goal is to excel in the NPO races, although nothing beats the feeling of claiming a prestigious win at the very start of the season.